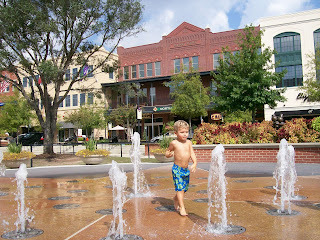 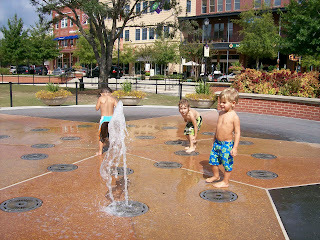 The Market in The Woodlands is a beautifully designed shopping center. 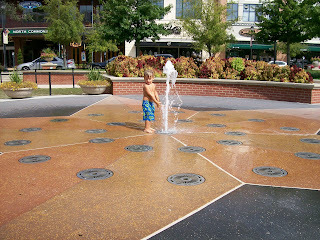 Most of the stores are pretty expensive so we don't make it out there much. 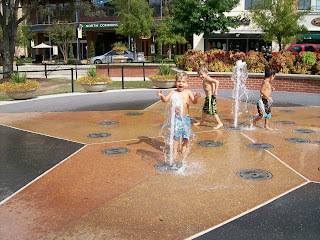 But they do have a fun fountain for the kids to play in, which is why Dawson and I stopped by there on our fun day.